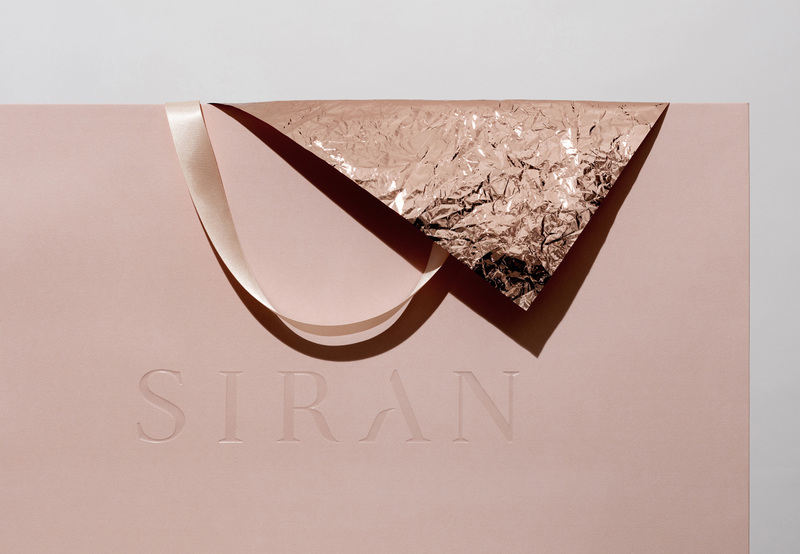 Working with SIRAN and London-based design studio EACH, Progress helped Siran Manoukian package her very first fashion collection which debuted at Paris Fashion Week. 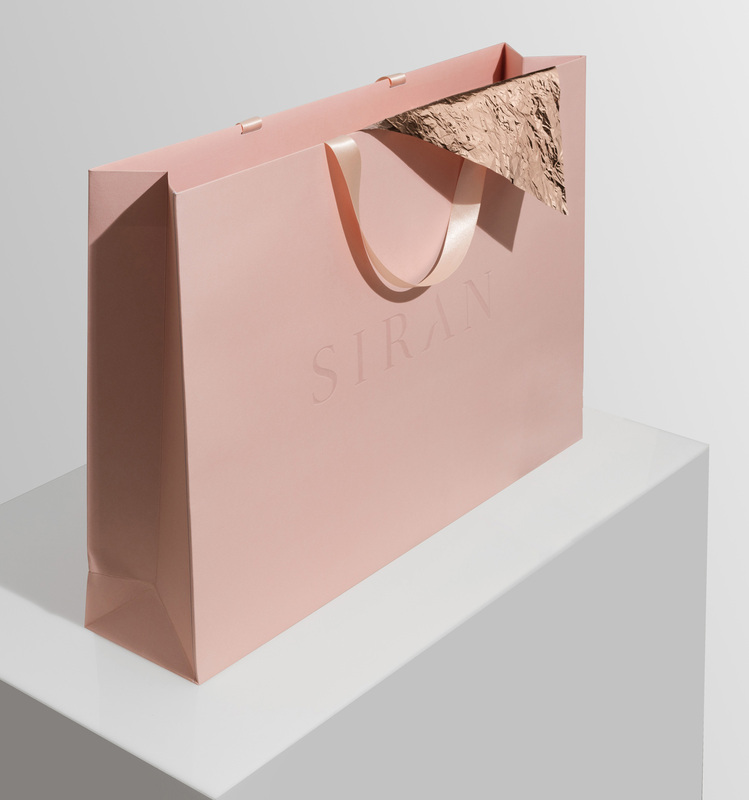 The packaging collection comprises of a series of carrier bags at various sizes and colour finishes. 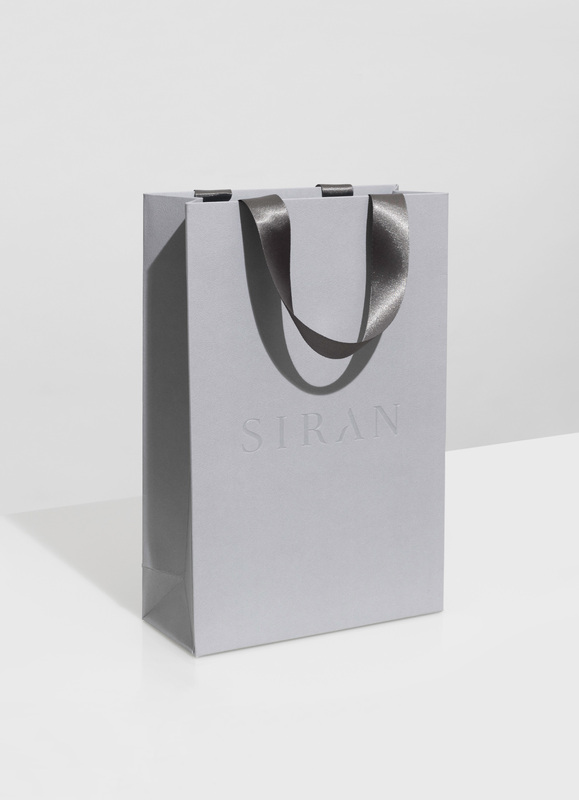 All the bags are constructed using Colorplan Pristine White with a Sandgrain emboss. The bags are then flood printed to specific shades to match the brand. The wordmark is debossed to both sides on all carriers, along with a clear matt foil which adds contrast in texture to the uncoated paper. Custom dyed 20mm silk ribbon is utilised for the handles, giving an elegant tactility to the carrier.